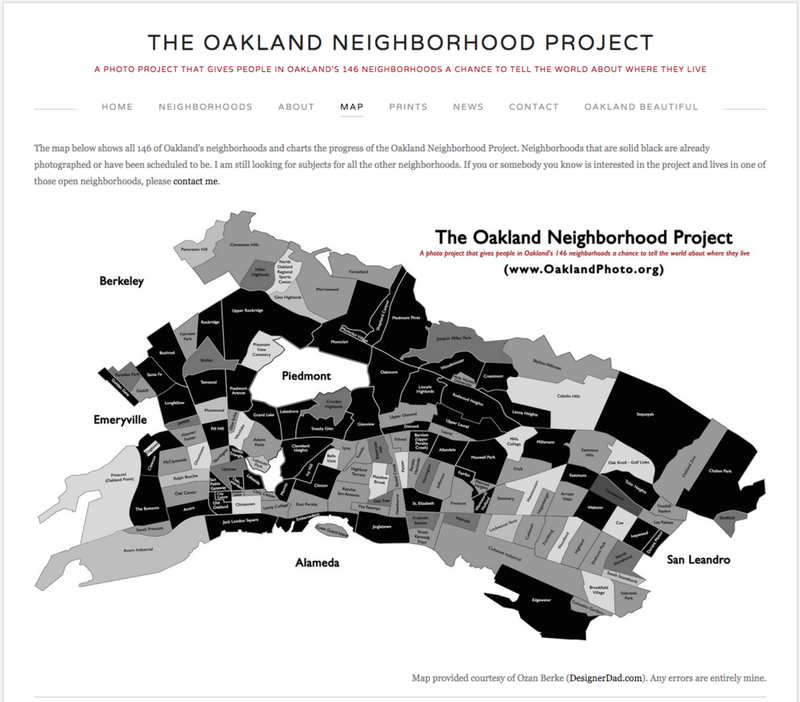 Check out Stephen Texeira and Ozan Berke's work on documenting the 146 Oakland neighborhoods in a creative project. We look at this map as the baseline and beginning of representing who we are as a community of many neighborhoods and what is important to each of us. We are all different and that's good. Oaklanders stand up for each other and the data we'll be adding to represent the voice of the people will help visualize who we are using data too. Stephanie was walking down the streets in Oaksterdam and saw a map of Oakland Neighborhoods and stopped to take a picture. The more she thought about it, and being an artist herself, she thought everything in Oakland should be based on these photographs - real people, just being who they are, spending time with people they love and care about. She loved his map and has been building upon the idea of what people can know and build upon when they are creating their own maps and own data. Stephen, we hope you're reading this and that we can meet to team up on some things. We look at your map all the time...thank you for your contributions to community. What do you think of our maps?